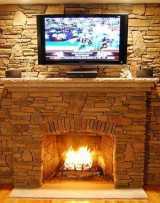 Manufactured stone fireplaces have come a long way from their humble beginnings. 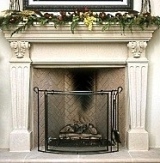 Though man-made cast stone mantels with smooth finishes have been produced for centuries and perfected to the point where they are virtually indistinguishable from their finely finished natural stone counterparts, the more rugged, roughly textured stone fireplace surrounds have not enjoyed such good fortune. 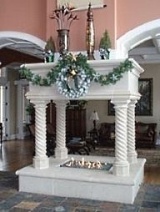 made stone products have evolved considerably from their predecessors. 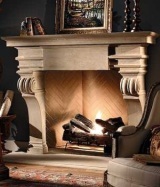 Many are so realistic in appearance that only the trained eye of a highly skilled stone artisan can distinguish between it and the "real deal." 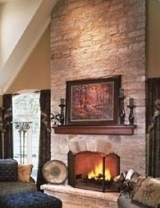 Manufactured stone is made by blending lightweight concrete with colored iron oxide pigments. 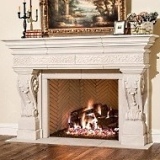 To give it a realistic look, the mixture is poured into molds made from natural stones and then vibrated to integrate surface coloration and texture. 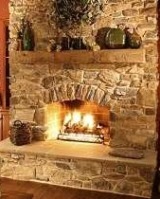 After the mix sets, the stone is removed from the mold and cured. 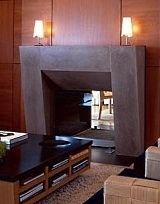 dation or footings for support. 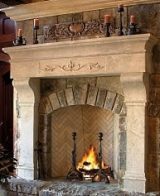 The significant cost savings, along with its very realistic look, has made it a popular alternative to natural stone for fireplace surrounds. 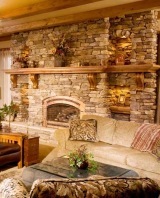 The BIG PICTURE Of Cultured Stone Fireplace Options! 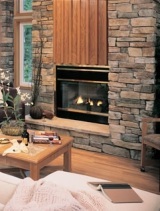 How Do They Stack Up To Natural Stone? 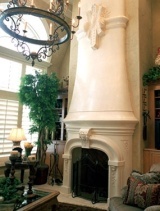 MORE Custom Stone Faux Fireplaces!
. 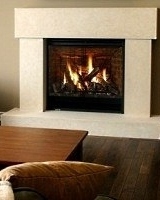 . . and Beyond! The "A" List of an All Star Cast! 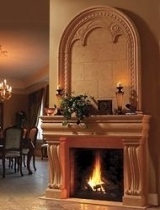 Subscribe to our Free e-Newsletter for More Exciting Fireplace Design Ideas! 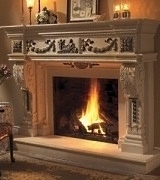 I promise to use it only to send you Fireplace Design Ideas.